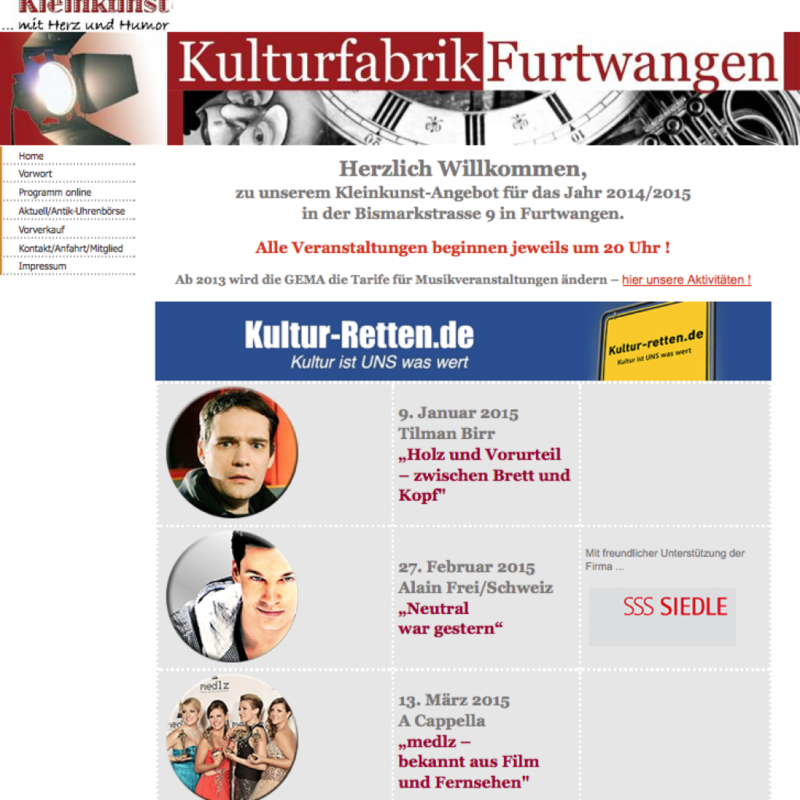 Visit the other events of Uhr-und-Kultur e.V. The Kulturfabrik are cabaret friends from Furtwangen and the surrounding area. For 6 years our cabaret evenings were offered in the guild room “Alte Färbe”. In the early 2000, we have moved to a 9 month reconstruction time in an empty factory hall with adjoining rooms. In 2010, we had to move again. Our new culture factory is now in the middle of the city in the Bismarck Street , next to the Post. The perfect stage equipment and the cozy atmosphere make every event for visitors to experience. In addition to the cultural work for the upper Bregtal our association organizes the largest antique watches market in Europe. Every last August weekend, more than 4000 watches meeting friends from all over Europe and overseas in Furtwangen to marvel at the inexhaustible supply of antique clocks.